Before I get into what happened on Monday, I wanted to share a wonderful experience I had with Amazon customer service. Seriously, if you aren’t buying from Amazon, you should be! 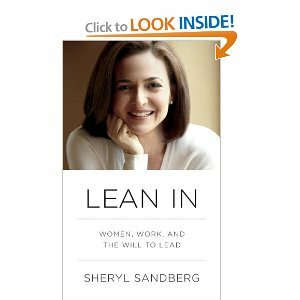 I ordered the new Lean In book because I believe everyone without a Y chromosome should! Have you heard about this book? It’s about women empowerment in the workplace. I can not wait to read it, and I’ll be sure to share a recap of the book with all of you! So, I go to Amazon to order the book, which was so easy with the 1-click purchase I have set up with my account. I love Amazon because it’s easy to order, my shipments arrive on time and if I have a problem, it will be solved! Well, I ordered the book and it shipped to the saved address on my account. Which, is in Milwaukee. Oops!! I noticed it when I went to see when my book would be arriving and it said it had delivered. Well, no it hasn’t! I don’t have it! I look at the details and see….Milwaukee, WI! I mean, I love you MKE, but not to house my books. I called the customer service number and I spoke with Ace. She was able to look into everything, called the shipper (USPS), confirmed that it had been delivered, but ordered me a replacement at no charge and set it up so it would be delivered tomorrow!!! What?!?! That’s fantastic news. She said that since I’m a loyal customer, she was able to do a replacement order! Alright, Amazon! I’m so glad I ordered from here and not somewhere else!! Now I really can’t wait to read this book! Now, onto the fun stuff! 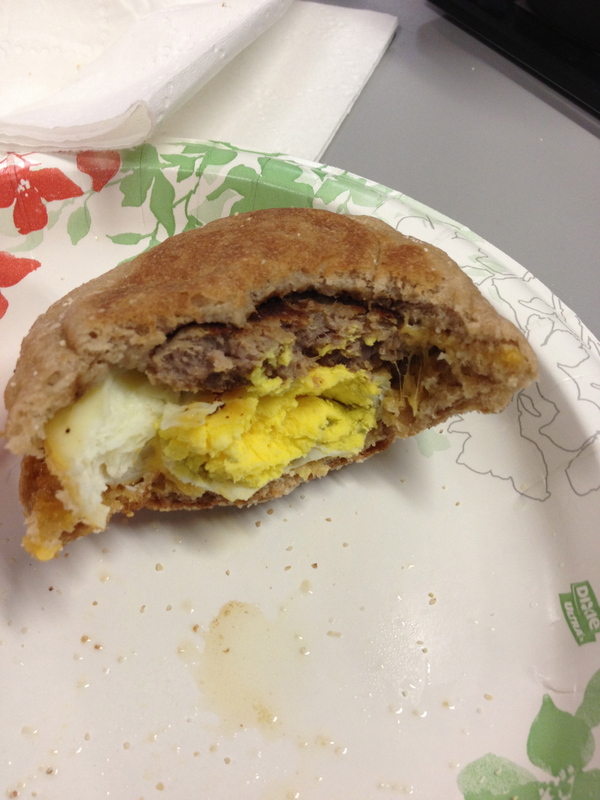 BREAKFAST – I had one of the egg mcmuffins today! And I’ve said before, so filling! 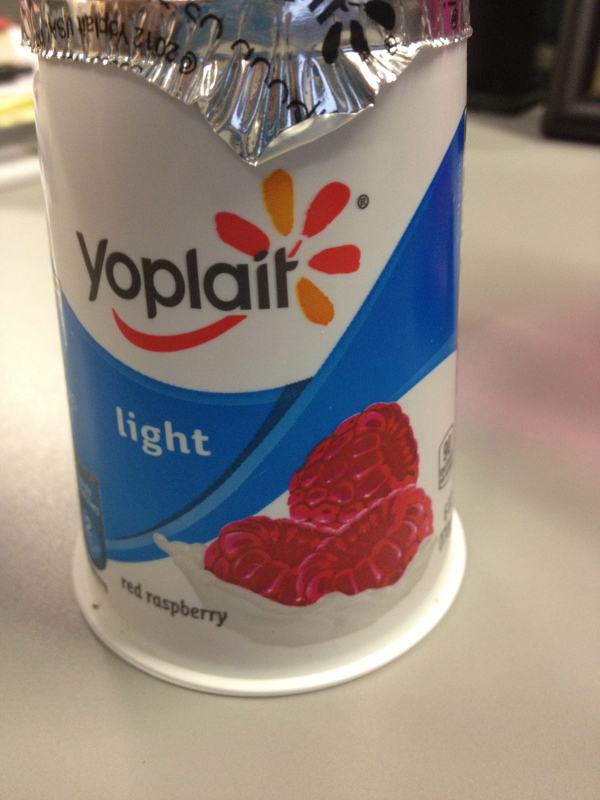 I wasn’t hungry for quite a while, so when lunch time rolled around, I just grabbed a yogurt! 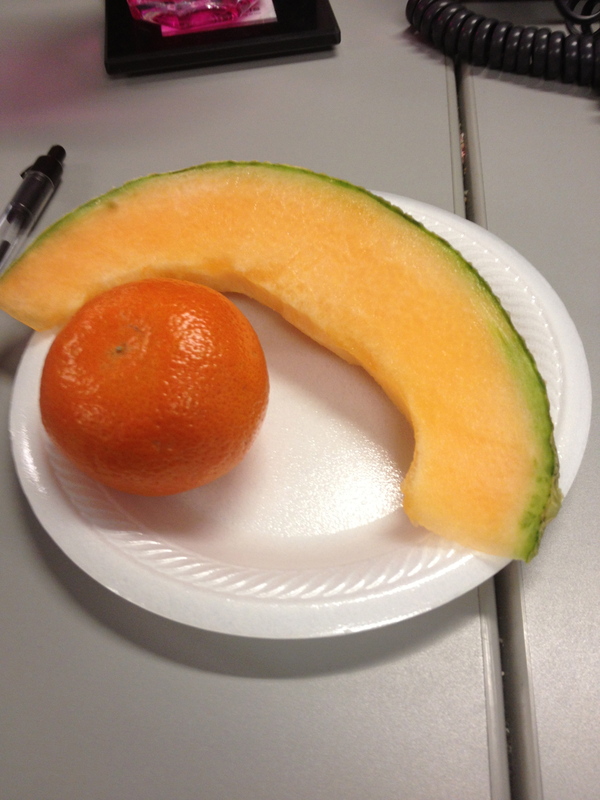 LUNCH – Light raspberry Yoplait yogurt with a 2 clementines and a piece of cantaloupe. While I may have been full for lunch, I came home pretty hungry. 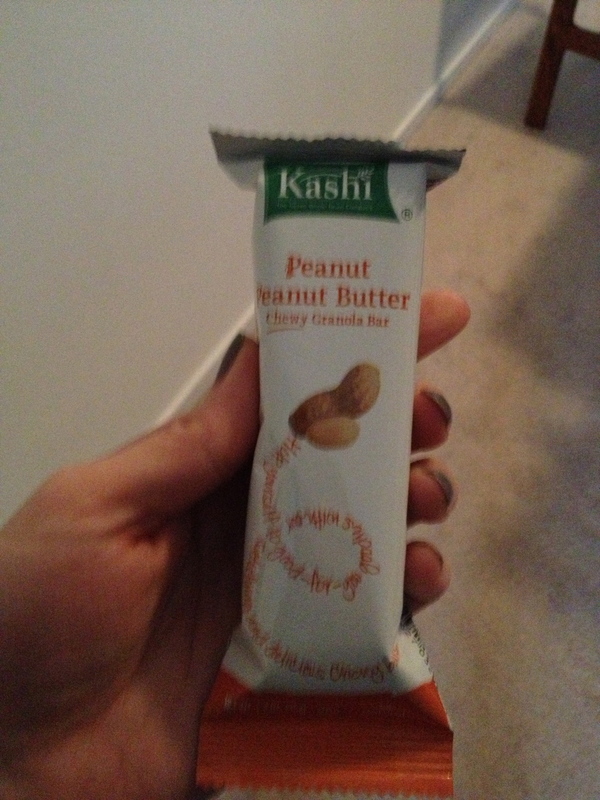 So, I chomped on a Kashi bar (amazing) and some kettle chips. I tried to convince the man not to buy these kettle chips because I’ll just eat them. Exhibit A. (I didn’t take a picture because I was ravenous)! I didn’t really work out yesterday. Unless you count a 10 minute circuit work out as exercise. I consider it stretching…I will not count it! I was still pretty sore from Saturday, which means I need more circuit work outs! Portion Control…until I went back for more! I attribute my hunger to not really eating lunch, and you know what, I’m okay with it! 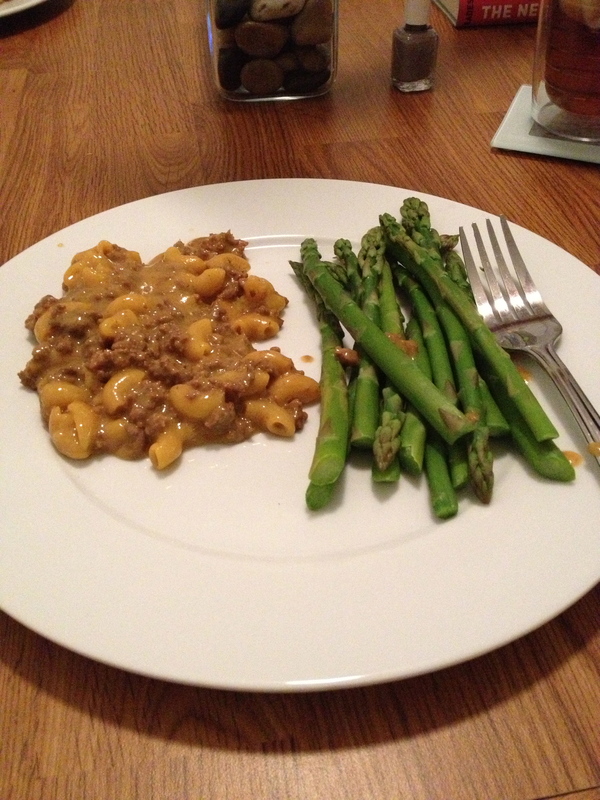 This entry was posted in meals, portion, Uncategorized. Bookmark the permalink.